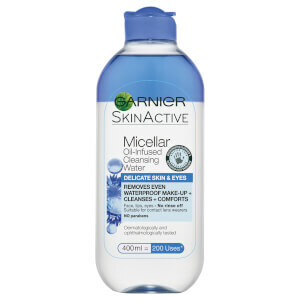 Refresh your complexion and remove impurities with the Micellar Oil-Infused Water from Garnier. Ideal for ultra-efficient one step cleansing, the Micellar Water is enriched with Nourishing Oils that act as a magnet to capture dirt and impurities. Even waterproof makeup is effortlessly dissolved without the need to scrub or rinse. 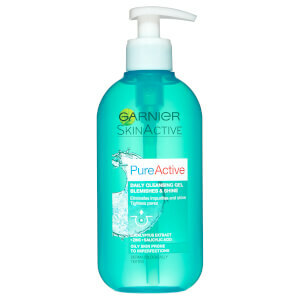 Ideal for dry and sensitive skin types, skin is cleansed, soothed and refreshed with no uncomfortable tightness. Aplique o produto num disco de algodão e limpe o rosto, os olhos e os lábios. Não é necessário enxaguar.